38th Micro Cup – Micro World Championship 2014 – Berlin – Seite 3 – July 2014, 19-26. Join the 1st ISAF World Championship ever held in Berlin! July 2014, 19 - 26. Join the 1st ISAF World Championship ever held in Berlin! A good breeze from the NE was blowing when the Race commitee hoist the flag for the first warning signal for the mandatory long-distance races for the Micro Cupper World Championship 2014. As the days before the breeze build up during the race. After his strong performance with 3 bullets yesterday skipper Piotr Ogrodnik and his crew Piotr Petryla and Grzegorz Banasczyk on POL 90 proved that they are in top form and finished first again. POL 77 with the reiging Micro Cupper World Champion Piotr Tarnacki at the helm took second place, RUS 39, skippered by Gennadiy Svistunov, took third place. Yesterday the race committee of the World Championship did a great job! Supported by Segler-Club Gothia on water race team they prepared a proper race course for the 55 competitors. After 3 intense races with an increasing breeze up to 14 kns from the NE back in the harbour the crews enjoyed a perfect Sailors BBQ provided by Hahnemann Projektentwicklungsgesellschaft, Oder Hotel and Veltins Brewery as sponsors to the World Championship. First warning signal for the long distance race is 10:30. 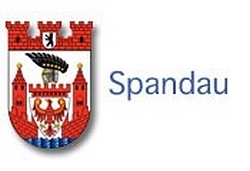 The competitors will race between Potsdam and Spandau, passing by one of the most beautiful landscapes in Prussia.